Limited and unlimited constitutional conventions are qualitatively different, and it is arguably unfortunate that they both are called “constitutional conventions” when their democratic functions are so different. With a limited convention, the legislature limits the convention’s agenda to issues of its own choosing. The result is that the democratic function of the constitutional convention is perverted. Of course, even when the legislature doesn’t have a veto on the constitutional convention’s agenda, it often tries to exert as much agenda control as possible. 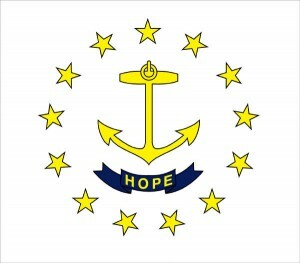 A major reason that limited constitutional conventions were popular in Rhode Island is that the convention mechanism for proposing constitutional amendments made it EASIER for the legislature to amend the Constitution. With a constitutional amendment proposed by the legislature, a supermajority was required to place it on the ballot for a popular referendum. But with a constitutional convention, only a simple majority was required to place it on the ballot. In the early 1960s, the current era of the unlimited constitutional convention was ushered in by a U.S. Supreme Court ruling that Rhode Island’s malapportioned General Assembly violated the equal protection clause of the U.S. Constitution and would have to be reapportioned based on the democratic principle of one-person, one-vote. This opened the way to the unlimited constitutional convention of the late 1960s. The 1973 constitutional convention was limited but implemented a number of the recommendations of the unlimited constitutional convention from just a few years before. I have divided Rhode Island’s conventional convention history into roughly three eras: 1) 1824-1943: Unlimited Conventions, 2) 1944-1963: Limited Conventions, and 3) 1964-Present: Unlimited Conventions. Of course, not too much should be read into such distinctions. Even with the unlimited conventions, elites have tried to control their agendas as much as possible and with varying degrees of success. 1824: 1st Convention Approved – At the January Session, 1824, the General Assembly passed “An Act to authorize the holding a Convention for the purpose of forming a written Constitution of Government for this State”. The Convention convened at Newport (June 21 – July 3, 1824) and drafted a Constitution. On October 11, 1824, the Freemen electorate rejected the proposed State Constitution, 1,668 yeas to 3,206 nays. 1834: 2nd Convention Approved – At the June Session, 1834, the General Assembly passed an Act calling for a Convention to be held in Providence on the first Monday in September. This Convention adjourned without agreement on a draft Constitution. In October of 1841, the Dorrites, a suffrage movement led by Thomas Wilson Dorr, held an extralegal Convention and on November 18, approved a “People’s Constitution”. During the period from December 27 – December 29, the “People’s Constitution” was approved by a vote of 13,944 yeas to 52 nays. An analysis of the voting shows that 4,960 Freemen voted for approval and 8,984 votes for approval were cast by persons ineligible to vote under the Charter government. 1842: 4th Convention Approved – In June of 1842, the General Assembly, bowing to increasing unrest, met in Newport and passed an Act calling for a Constitutional Convention. In August, delegates are elected. In September, the Convention delegates meet and draft a Constitution. This Constitution, after voting conducted on November 21 – 23, is approved by a vote of 7,032 yeas to 59 nays and goes into effect on May 2, 1843. 1853: General Assembly proposal to hold a Constitutional Convention is rejected by a vote of 3,778 yeas to 7,618 nays on June 28, 1853. 1882: Voters reject another call for a Constitutional Convention. 1883: The Rhode Island Supreme Court issues an advisory opinion (In Re Constitutional Convention, 19 RI 649), stating the the Rhode Island Constitution cannot be amended by a Constitutional Convention. 1883 – 1934: The Constitution is amended by separate amendments put to a vote of the electorate. 1936: At a special election held on March 10, voters reject a proposal for a Constitutional Convention, 88,401 yeas to 100,488 nays. 1944: 5th Convention Approved – On March 14, the voters approve holding a Limited Constitutional Convention by a vote of 15,683 yeas to 524 nays. The Convention meets on March 28 at Rhode Island College in Providence, for the purpose of drafting an amendment relating to voting rights for members of the armed forces and merchant marine. Amendment subsequently approved by the voters on April 11, 1944 by a vote of 7122 yeas to 119 nays. 1951: 6th Convention Approved – On May 25, the voters approve the holding of a Limited Constitutional Convention by a vote of 16,737 yeas to 4,183 nays. The Convention meets from June 1 – 3, 1951 and approves the following proposals to be considered by the voters at a special election on June 28, 1951. Six of the eight ballot questions are approved by the voters. 1955: 7th Convention Approved – On June 9, 1955, the voters approve the holding of a Limited Constitutional Convention by a vote of 17,847 yeas to 14,060 nays. The Convention is held on June 20, 1955. Three amendments are approved for submission to the voters at a special election on July 12, 1955. 1958: 8th Convention Approved – A Limited Constitutional Convention is approved by the voters on January 22, 1958, 12,476 yeas to 1903 nays. The Convention meets on January 31 and February 7, 1958, and approves two questions for submission to the voters at a special election held on February 27, 1958. 1964 – 1969: 9th Convention Approved – Convention authorized by Public Law 1963, Chapter 211, approved June 12, 1963: “An Act Inviting the People to Assemble, by Their Delegates, in Special Convention for the Purpose of Revising, Altering, or Amending the Constitution, of Framing a New Constitution.” Placed on the ballot at the general election held November 3, 1963, question approved by the voters, 158,241 yeas to 70,975 nays. Convention with 100 delegates convened at the Veterans’ Memorial Auditorium in Providence, December 8, 1964 with Dennis J. Roberts chosen as chairman and August P. LaFrance serving as permanent secretary. The convention with twelve committees met for a period of four years, approving a revised Constitution on December 4, 1967. Brought before the electorate at a special election held April 16, 1968, proposed Constitution overwhelmingly rejected by a vote of 69,110 yeas to 17,615 nays. The Convention officially adjourned on February 17, 1969. 1973: 10th Convention Approved – The calling of a Limited Constitutional Convention is approved by the voters on August 7, 1973 by a vote of 21,302 yeas to 21,210 nays. The Convention meets during the period from September 4 – October 4, 1973. Nine ballot questions are submitted to the voters at a special election held on November 6, 1973. (5) Amending the Constitution (Approved – 56,072 yeas to 34,953 nays). Question 5 amended the Constitution to require that a ballot question calling for a convention to amend or revise the Rhode Island Constitution be placed on the ballot at least every ten (10) years. If the General Assembly fails to place the question on the ballot at some time during any period of ten years, then the Secretary of State must place the question on the ballot at the next general election after the expiration of the ten-year period. Question 5 also added the requirement that the General Assembly, prior to the electorate voting on the holding of a Constitutional Convention, create a bi-partisan preparatory commission to assemble information on constitutional questions for the electors. The Governor is authorized to create the commission if the General Assembly fails to act. (See 1994 entry). 1983: The General Assembly passes Resolution 255, creating a Bi-partisan Preparatory Commission to assemble information for a Constitutional Convention and placing the Constitutional Convention Question on the Ballot for November 6, 1984. 1984: The Bi-partisan Preparatory Commission issues its report on July 5, 1984. The Commission recommended that a Constitutional Convention be called to study the following issues: (1) Four Year Terms for General Officers; (2) Governor and Lt. Governor Running as a Team; (3) Line-item Veto Power for the Governor; (4) Four Year Terms for General Assembly; (5) Legislative Compensation; (6) Size of the General Assembly; (7) Length of General Assembly Sessions; (8) Reapportionment of the General Assembly; (9) Equal Rights for Women and Handicapped Persons; (10) Voter Initiative and Referendum; (11) Manner of Selecting Supreme Court Justices. 1984: 11th Convention Approved – On November 6, 1984, the voters approve the holding of a Constitutional Convention by a vote of 159,801 yeas to 137,096 nays. 1985: The General Assembly enacts 1985 Chapter 326, calling for the election of delegates to a Constitutional Convention and regulating their proceedings. 100 delegates, based on the 100 Representative districts, are elected on November 5, 1985. 1986: Beginning on January 6, the Constitutional Convention meets. 288 Resolutions proposing amendments are introduced. The Convention Committees eventually reduce these resolutions into fourteen (14) ballot questions to be decided by the voters on November 4, 1986. (1) Rewrite of the Present Constitution (Approved – 188,082 yeas to 96,453 nays). Question 1 provided for the re-writing of the Constitution to include all of the constitutional amendments approved since 1843. 1994: Secretary of State Barbara Leonard places a Constitutional Convention question on the November 8, 1994 Ballot as Question Number 4. Governor Bruce Sundlun issues Executive Order 20 on November 7, 2004. This Order would have created a Bi-partisan Preparatory Commission to Assemble Information on Constitutional Issues. Ballot Question Number 4, calling for a Constitutional Convention, is rejected on November 8, 1994 by a vote of 118,545 yeas to 173,693 nays. 2004: The General Assembly enacts 2004 Resolutions 286 and 287, providing for a Bi-partisan Preparatory Commission and placing the Constitutional Convention question on the November 2, 2004 Ballot. The Bi-partisan Preparatory Commission issues a ten page report on the following constitutional issues: (1) Judicial Selection, Performance and Budgetary Control; (2) Voter Initiative; (3) Abolish Term Limits for General Officers; (4) Term Limits for Legislators; (5) Bracket Election of Governor and Lt. Governor; (6) Constitutional Reapportionment Commission; (7) Voter Qualifications / Felon Voting Rights; (8) Line-Item Veto for Governor; (9) Full-time General Assembly with Term Limits; (10) Make General Assembly Subject to Open Meetings Law; (11) Gambling; (12) Define Marriage; (13) Increase Majority Required to Ratify Constitutional Amendments; (14) Create General Office of Auditor/Inspector General; (15) Clarify Certain Citizen’s Rights. Ballot Question Number 2, calling for a Constitutional Convention, is rejected on November 2, 2004 by a vote of 162,296 yeas to 175,601 nays. 2013: Senate Bill 107, calling for the creation of a Bi-partisan Preparatory Commission, is introduced by Senator Paul Fogarty (D) and is held for further study in the Senate Special Legislation and Veterans Affairs Committee. 2014: Senate Resolution 2537 calling for the creation of a Bi-partisan Preparatory Commission passes out of the Senate Special Legislation and Veterans Affairs Committee on March 5, 2014. Sources *Compiled by State Librarian Elliot Andrews, State Librarian Thomas Evans, State Reference Archivist Kenneth Carlson, November 25, 2013, Additions by J.H. Snider on March 6, 2014.